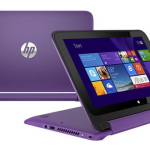 Help Victims of Domestic Violence – Win an HP Laptop! We’re proud to support our friends at the Suffolk County Coalition Against Domestic Violence (SCCADV) by sponsoring the 2015 Paws For A Cause Pet Fair and Parade. Update May 2, 2015 Thanks to everyone that made the event a big success! We’re looking forward to participating again next year.